Photo syncing is not a novel idea at all - there are countless solutions that do it on a regular basis, but instant photo uploading the moment it is taken is something I've been looking forward to for a long time. 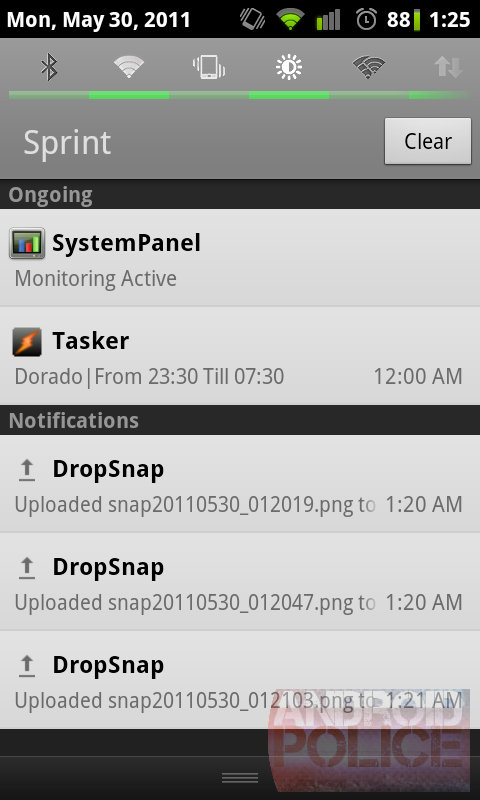 And now it's here, thanks to Chris Soyars, aka ctso - one of the senior CyanogenMod developers. 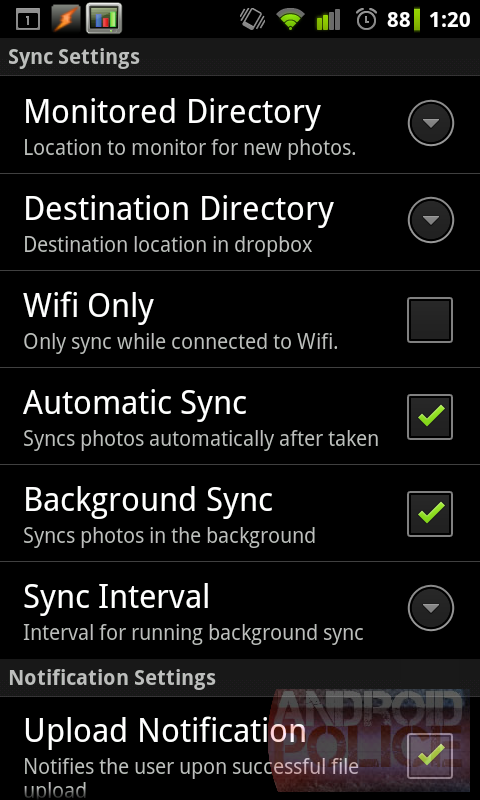 Chris's new app, DropSnap, has a very simple purpose - get your photos synced up to the cloud the moment you take them. I'm not exaggerating - it really is that fast (of course, depending on your data connection). For example, on Wi-Fi, freshly snapped pictures were synced to Dropbox and back to my computer before I could open my mouth and say "Android rocks". For most people, knowing their photos are safe gives them peace of mind, but for me, it's opening up a whole new way of taking pictures for application reviews and good old screenshot sharing. That's right - you can set any folder to be monitored for changes, with multiple folder support planned in the next few weeks. 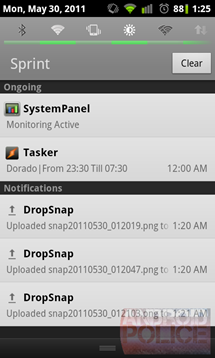 You can also set a destination directory on the remote side, individual file upload notifications, as well as a variety of syncing options. DropSnap isn't perfect yet - for example, some snapshots taken by ShootMe are getting only partially uploaded, and deletions are deliberately not propagated through, but I'm fully expecting Chris to take care of these issues in a short while. The program is free to use, but automatic sync comes with a one-time $3.99 in-app purchase. To me, that's a small price to pay for such instant synchronization; as for you, you'll have to decide for yourself - just remember, your next coffee is probably going to cost more. 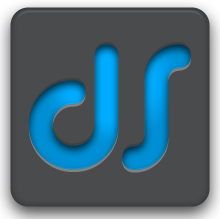 Update: As a few of you pointed out, DropIn (free) and Titanium Media Sync ($3.39 - from the creator of Titanium Backup) are alternatives to DropSnap. 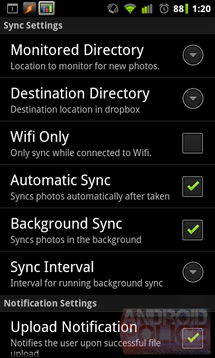 Both sync instantly and have varying levels of complexity.